Aqseptence Group unites some of the most renowned brands of the industry, serving industrial and municipal customers for more than 100 years. Aqseptence Group provides a wide range of applications in the fields of filtration & separation and water technology. Aqseptence Group serves a wide range of markets in the municipal and industrial sectors. Aqseptence Group provides a wide range of fully integrated solutions in the fields of filtration & separation and water technology. Aqseptence Group is a leading global supplier of specialized products, equipment and system solutions for filtration & separation and water technology for various applications. Aqseptence Group is headquartered in Germany’s Aarbergen and has a proven global footprint with locations in Europe, North and South America, Asia and Australia and employs 1,400 people. If the content is not available in your preferred language, please contact us by e-mail. Aqseptence Group installed a Roediger Vacuum Sewer System with flood-proof collection chambers. The residential area at the Eicher See with approximately 670 buildings was not equipped with any fresh water supply and any sewage system before 1997. Due to the growing number of residents a new sewage collection system was strongly required. 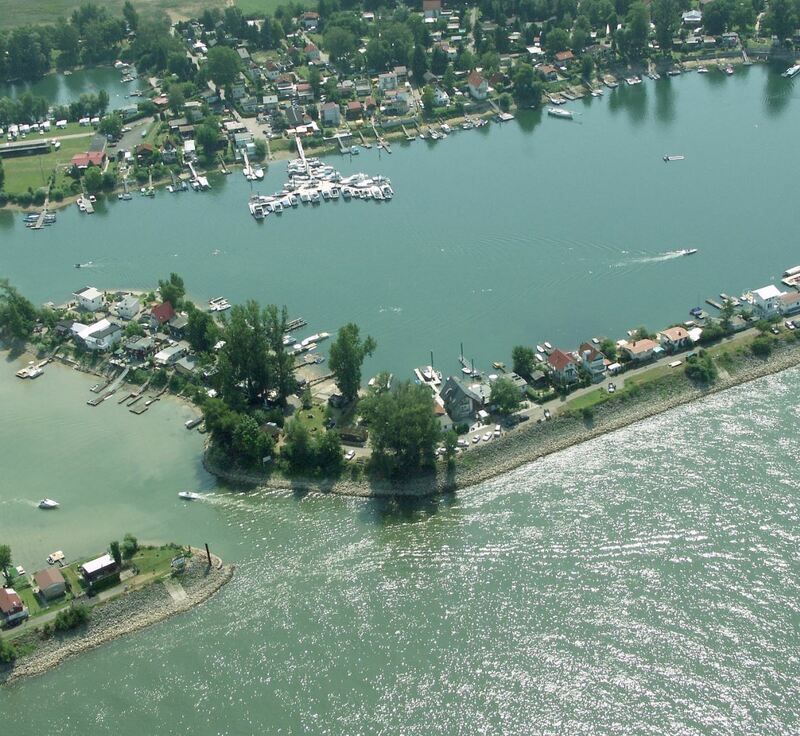 Because the village is situated in a flooding area along the Rhine River, it was necessary to have a sewer system that functions until a high water level of 5 m, in order to prevent any wastewater overflowing and any groundwater contamination. Aqseptence Group installed a Roediger Vacuum Sewer System with flood-proof collection chambers. The vacuum sewer system is constantly under negative pressure and it is sealed from the atmosphere. Negative pressure means that the pipes are always empty. As soon as a determined amount of wastewater enters the collection sump at the collection chamber the valve opens and the wastewater travels through the pipe to the vacuum station, thereby eliminating the risk of exfiltration. In addition, air in the pipes moving at high velocity prevents sedimentation and water fouling. Another challenge was the varying flow rates. Eicher See is a seasonal area and flow rates during summer months and on weekends are significantly higher: the risk of a large variation in flow rates is that wastewater in gravity pipes may foul. As the market leader of vacuum technology with our brands Roediger® and Airvac® for many decades, we work with city planners, municipalities, architects, sewage disposal companies, construction companies, wastewater treatment plants, consulting engineers, project developers and many more. The unique mix of engineering expertise, creative station construction and best-in-class services set us apart.